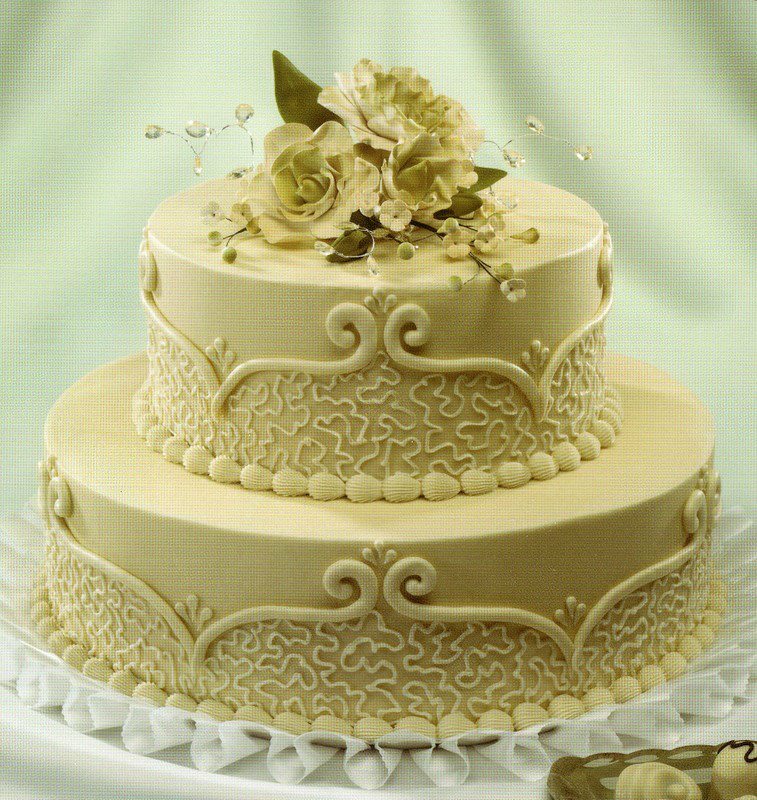 Visit the Wedding Cake Gallery here. 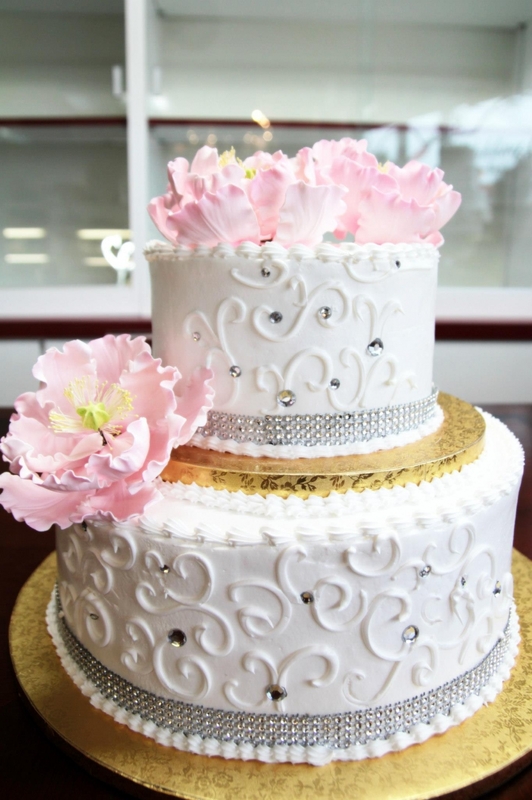 Get ideas for your wedding cake from the internet, magazines or books and we’ll recreate it in your choice of flavors, sizes and colors. We have wedding cakes, photo albums and a photo gallery on display for your viewing. Please set-up an appointment between Tuesdays and Saturdays during our regular business hours. We will have wedding cake samples of our popular cake flavors, fillings, and icing for you to try. We welcome anyone to stop in and view our displays, albums and gallery. We ask that you please make an appointment with us prior to stopping in. Often times we are busy with many customers and might not be able to accommodate everyone who stops in. If you did not make an appointment with us, please call ahead to ensure that we can accommodate your visit. 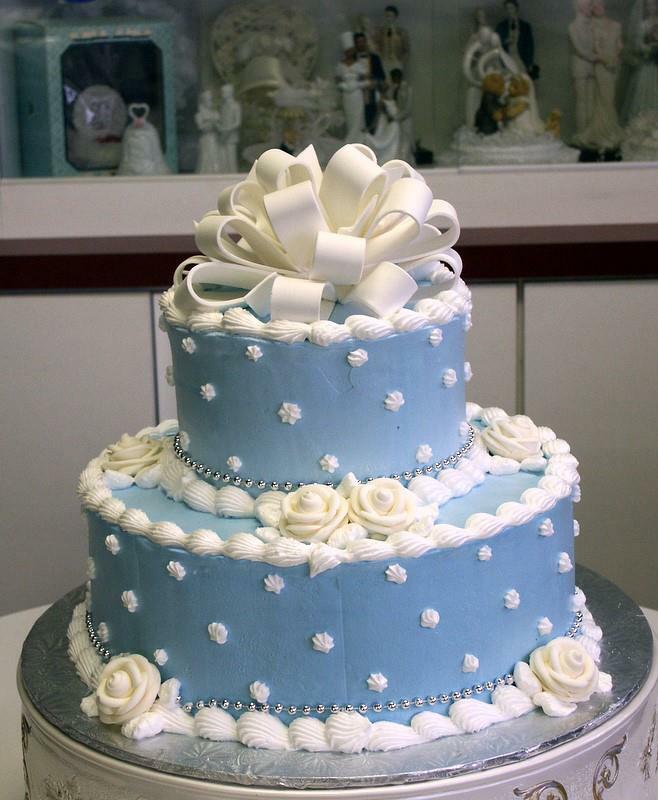 We are a small, family owned bakery and are limited to the number of wedding cakes we can make on any given weekend. It is best to book your wedding date early. 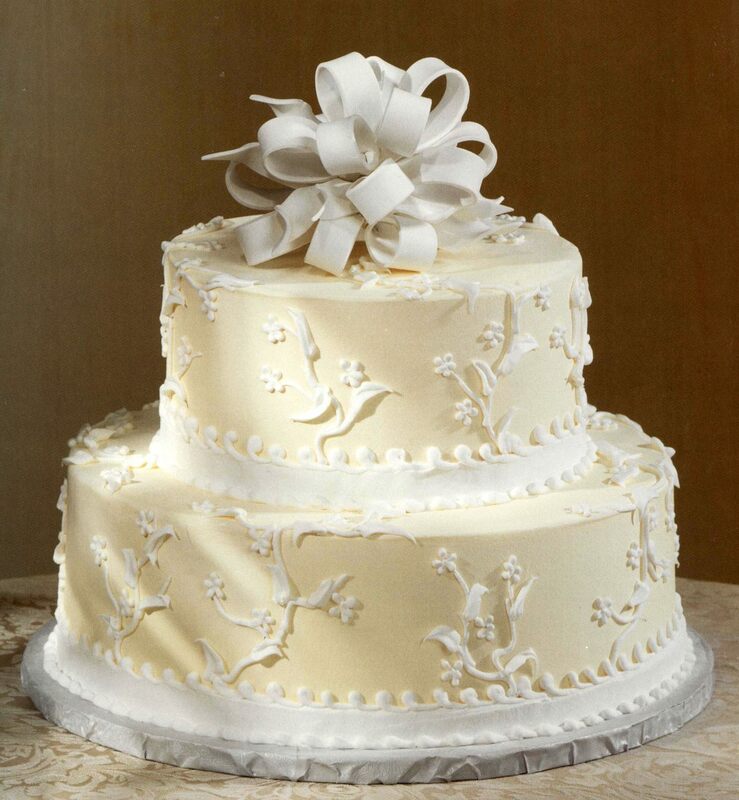 A $50 deposit reserves your wedding cake date with us. 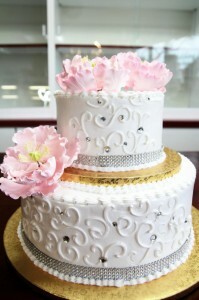 Order a smaller wedding cake with an added sheet cake. 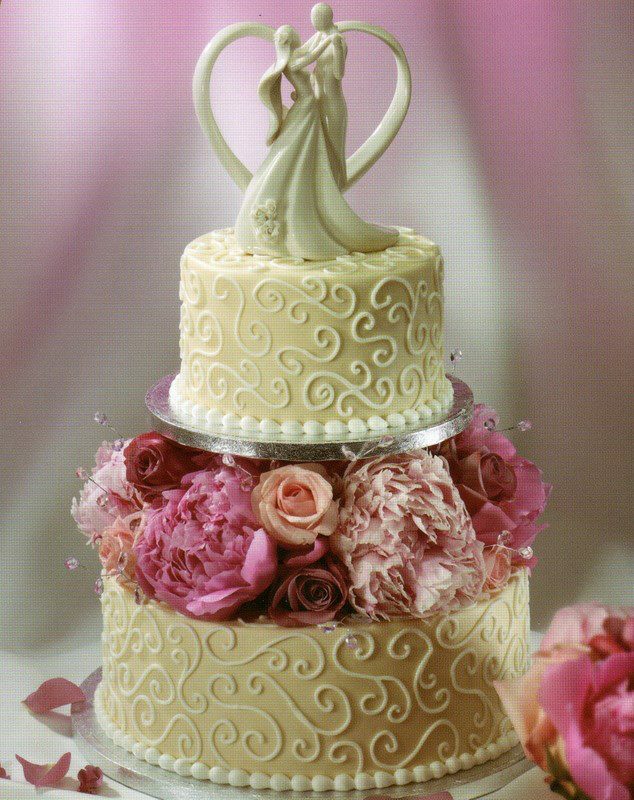 Order a smaller wedding cake with added decorative cupcakes. Order Faux-Fondant Icing (Butter Cream icing with a rounded edge). Find and bring in your own decorations for your wedding cake (Rhinestones, brooches, Monograms, Flowers, Ribbon, etc). Fresh Flowers can be brought in the day before your wedding for us to arrange on or around your cake. Alternatively, you can have your florist arrange your flowers around the cake at the wedding hall. Silk Flowers can be used and be brought in before your wedding. We can arrange these on or around your cake at the hall. Gum-paste flowers are available in many varieties to match your wedding bouquets.